4" Green Grinding Stone 240 Grit W/ 5/8-11 Thread. 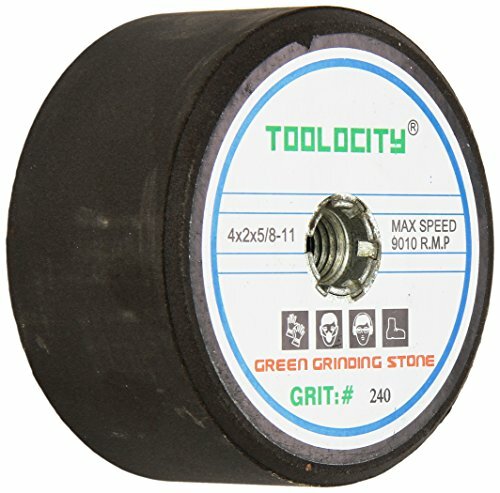 Green grinding stones are made from green silicon carbide, which is more abrasive and 30% more durable than black grinding stones. They are used for grinding of granite, marble and other types of stones. View More In Abrasive Mounted Points. If you have any questions about this product by Toolocity, contact us by completing and submitting the form below. If you are looking for a specif part number, please include it with your message. POWERTEC 11220 60 Grit Sanding Sleeves (12 Pack), 4-1/2"